Asia Pacific Aerial Imaging Market is expected to witness the fastest growth rate of over 16% over the forecast timeline due to an increasing awareness among developing countries regarding the use of aerial imaging platforms. Regulatory bodies are playing a major role in the growth of the aerial imaging market by enabling day-to-day drone operations in the national airspace. 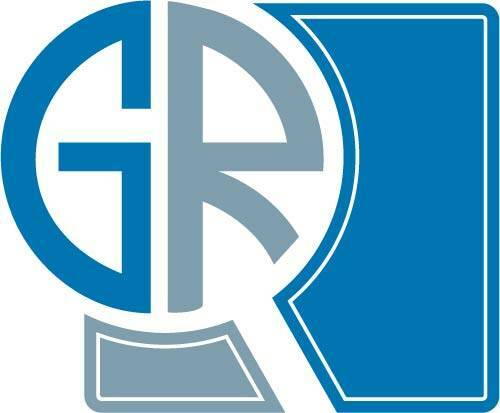 Rapid adoption of the drone technology by governments for various applications such as geospatial mapping, search & rescue, resource management, and security & surveillance will fuel the market growth over the forecast period. The disaster management segment is expected to witness a high growth rate of 19% over the forecast period due to the extensive adoption of aerial imaging platforms to support search & rescue operations and damage assessment. These platforms are widely used to produce hazard maps to plan effective mitigation measures for reducing disaster risks. China held the largest share in the aerial imaging market in 2017 and is projected to dominate the market with a share of around 49% in 2024. The commercial sector of China relies on UAVs for a variety of services such as aerial photography, urban planning, infrastructure inspection, and crop monitoring, which is expected to increase drone usage. Chinese drone manufacturers are focusing on technical innovations and strategic partnerships with global technological players to boost their drone industry. For instance, in May 2018, DJI and Microsoft entered into a strategic partnership to bring machine learning and AI capabilities to DJI drones. Companies in this region are investing in new technologies and collaborating with other drone providers to develop high-tech drones for various industries. For instance, in April 2017, Yamaha Motor Co. Ltd. and YAMABIKO collaborated to deliver new agriculture spraying systems using multi-rotor drones. In July 2017, the South Korean government invested around USD 900 million in drone technology research. Specifically, the Korean government planned to provide more support to R&D activities for the development of industrial drones. 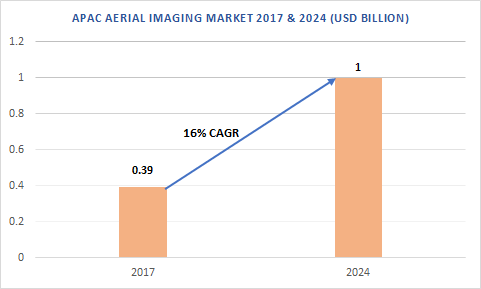 Some of the key players in the Asia Pacific aerial imaging market include Fugro N.V., Cyberhawk Innovations, Parrot SA, Google, Global UAV Technologies, GeoVantage, Eagle View Technologies, Digital Aerial Solutions, PrecisionHawk, Landiscor Real Estate Mapping, Cooper Aerial Surveys, Kucera International, 3D Robotics, AeroVironment, DroneDeploy, and Hoverfly Technologies.